Girls, you're getting your Snicks! I'll have to check which colors are coming, but fo sho, they're arriving at SM Fashion Forum this October! Watch out for it! Limited pieces available so you better hurry once they drop! There are tons of super cute shoes coming too! Will write about that when the time comes! woohoo! thanks christine!!! super excited! OMG want! Around how much will they cost? Any estimate? wow, nice shoe! ;) whats the brand? Same question, around how much kaya? I tried ordering them at Nordstrom and have them shipped here, too expensive. Oh, and SM Fashion Forum is at both Makati and Megamall? Ruby! I'm thinking baka one pair per size, but I'll check! Hi Anon and Ria! For sure, it'll be cheaper than US retail! I'll check! Thanks fasyonista! This design is called Snick and it's by Jeffrey Campbell! Oh my! Im so glad I checked your blog again! 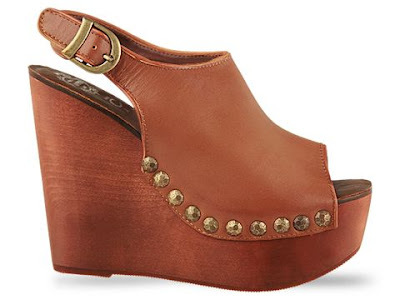 I've been eyeing this wedge for such a long time. I was about to order them online, buti you posted it. Suprisingly mas mura JCs dito sa 'tin compared sa US no? I got two pairs kasi a month ago sa SM and I was so thrilled. Or introductory lang kaya yun? Hi christine. Do you know what other styles they're bringing in? Im so excited! Mahal pa naman sa states and hassle yung customs duties. So glad I so your blog! Hi Denise! Prices are below US retail talaga! =) They've considered budget of Filipinas kasi, and yes, I know what's coming, heehee! They'll be bringing in oxfords and the edgier Jeffrey Campbells like booties! =) Will post photos once they arrive late this month! Watch out for that!